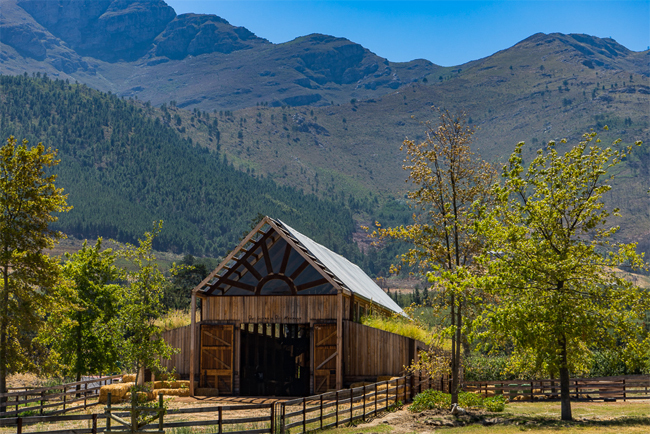 Nestled in the heart of the Western Cape countryside, far from the traffic and the noise of the city is a place you have to see to believe. 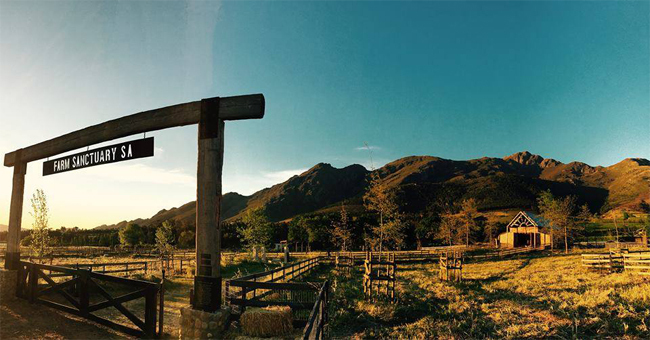 Set down a dust track road in the quaint town of Franschhoek is Farm Sanctuary. 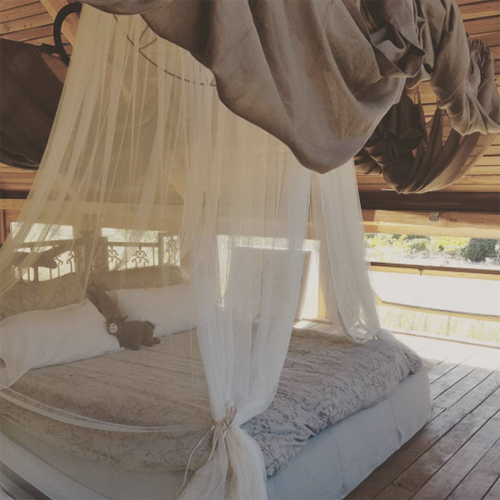 This idyllic retreat was established in 2016 by Joanne Lefson on World Farm Animal Day and is, to date, the only officially registered sanctuary on the African continent for rescued farm animals. The recently converted barn is now home to many of Lefson’s adopted friends and aims to inform and inspire positive change in the way society views and treats farm animals by inviting guests to stay in this unique space and experience a night sleeping amongst the animals. Light, airy and full of charm, a night at Farm Sanctuary will truly be like no other. Set atop a spiral staircase the master bed sits draped in soft organza. In this wide open loft space dramatic mountain views and country vibes are aided by the sun styled window which surrounds the room, while the farm’s residents reside below. Downstairs meet Baloo – survivor, advocate and lawnmower. 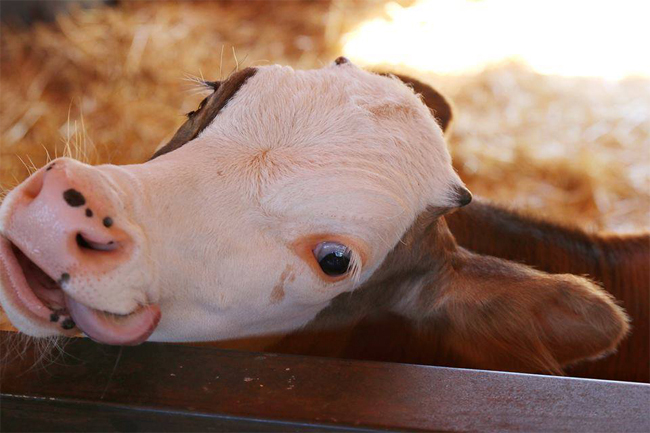 Once a malnourished calf Baloo was rescued from an informal settlement along Route 62. A by-product of the dairy industry because he would never produce milk, Baloo is now a free and happy cow who enjoys the good things in life. Then get up close and personal with the artist amongst the bunch, Pigcasso. 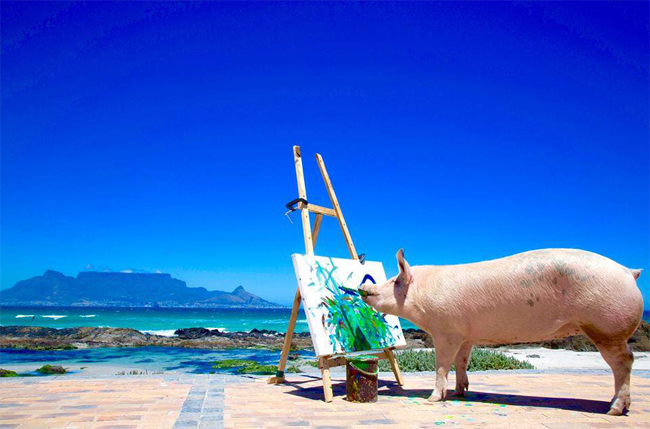 Fat, friendly and fabulous Pigcasso was rescued from the brink of extinction at a South African pig ‘farm’. From pork chop to hog heaven, she loves her new home and whiles away her time eating and sleeping. This clever little swine also loves to paint, with the Oink Gallery showcasing her work which can sell for upwards of $1000.00! Here at Farm Sanctuary their mission is a simple one – to create a world without factory farming. The importance of preserving the environment, supporting local communities, and valuing the health of farm animals is paramount to everything this establishment does. All proceeds from Farm Sanctuary go towards their mission of compassion for farm animals and we couldn’t think of a better way to support this amazing cause than by spending a night at Farm Sanctuary. Because not only is this an extraordinary lodging experience to remember long after the cows come home, it’s also a step towards a world without factory farming, it’s a helping hand towards offering creatures a sanctuary and a place to live out their days in peace, happily and loved.